Fans of bowls in the Hartlepool area are in for a treat next week when a major world championship is staged in the town. The 2018 World Indoor Bowls Council World Singles and Mixed Pairs Championships take place at Hartlepool Indoor Bowls Club from Tuesday to Friday, April 10-13. Players from the Netherlands, Canada, Guernsey, Jersey, the Isle of Man, England, Scotland, Ireland and Wales will be among those taking part in the four-day event at the club’s Mill House site in Raby Road. Carl Higgins, the club’s president, said that the club and its members were ‘delighted’ that the Mill House base is hosting the tournament. He said: “We are proud and delighted to welcome the world championships to Hartlepool for the very first time. The event starts on Tuesday morning with Mixed Pairs games followed by Ladies and Gents Singles matches before more Mixed Pairs to close the day’s action in early evening. 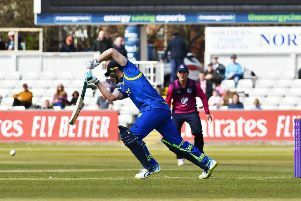 Qualifying games for all three formats carry on throughout Wednesday with quarter-finals and semi-finals taking place throughout Thursday. The finals take place from 9am on Friday morning. The Mayor of Hartlepool welcomed the event to town. Councillor Paul Beck, said: “This is a marvellous accolade for Hartlepool Indoor Bowls Club and great news for the town as a whole, which has so much to offer visitors from around the world.